The top two winners at this year's Global Student Entrepreneur Awards show what it takes to balance higher education with entrepreneurial passion. When Milun Tesovic launched his lyrics website, MetroLyrics.com, in 2002, he had no idea it would one day represent 30 percent of all AOL Music traffic. 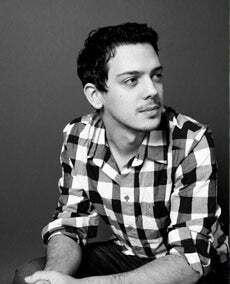 Now 24, Tesovic is the chief technology officer and co-founder of MetroLeap Media, and MetroLyrics attracts more than 40 million unique visitors per month. After being nominated anonymously, Tesovic, who resides in Vancouver and is originally from Bosnia, competed for and won first prize at the 2009 Global Student Entrepreneur Awards, a contest that recognizes the top full-time university students who are also running businesses. He beat out 1,500 contestants from 27 countries and scored $70,000 in cash and donated services to help support his company and development as an entrepreneur. Tesovic also took home the GSEA Innovation Award for his creativity and unique approach to business. "I'm probably going to be an entrepreneur for the rest of my life, starting my own ventures. I'm having way too much fun with it," Tesovic says. "I love negotiating terms, setting up strategies and watching my products come to life. I don't really have a set plan. It's just keep going, keep learning, and keep doing what I'm doing." "I often looked up lyrics when I was younger, and I was quite disappointed with the lyrics websites out there," the Simon Frasier University student says. "They didn't have up-to-date databases or they were inaccurate, and not to mention, they were all operating illegally. So I set out to create my own database, which more than anything would have to be an accurate database, comprehensive and up-to-date, and it started growing from there." The GSEA, a program of the Entrepreneurs' Organization, was founded in 1998 as a way to provide support for early-stage entrepreneurs. In 2006, the EO took control of GSEA to offer student entrepreneurs access to a global network of mentors, resources and connections an influential community of entrepreneurs around the world. Students eligible to compete must be undergraduate students who have owned and operated a business for at least six months. "Companies less than five years old are the ones bringing us new job creation, says Dean Lindal, vice president of global business development for the EO. "It's not the big businesses--it's the young entrepreneurs who are defying the odds and coming up with the new innovations and growth. The GSEA provides each contestant with a peer network of other student entrepreneurs they can share ideas with and relate to, and it also gives them access to great mentors who have been there and done that." Tesovic's inspiration was simple: The lyrics websites he sought out were at best inaccurate, and, at worst, illegal, so he created a database of his own. Once MetroLyrics developed and had a better business model behind it, Tesovic partnered with global media technology company Gracenote in April 2008 to ensure artists, songwriters and music publishers were properly compensated for the use of their copyrighted lyrics. The more than 600,000 registered users also help to keep the lyrics accurate by acting as moderators. In addition to being the exclusive lyrics partner for all AOL Music properties, with, MetroLyrics also works with Billboard and is in talks with MTV. All of MetroLyrics' revenue comes from advertising, and Tesovic assures the site will always be free for users. "It's never going to cost the user anything," he says. "It was the right thing to do. It was a business model we pursued from day one." For Tesovic, doing the right thing also means pursuing his passion above all, including money, and he advises fellow aspiring young entrepreneurs to follow suit. "I don't see people who are just chasing the dollar succeed as frequently as people who are chasing their passion," he says. "Students who want to make money and succeed need to be in the industry they want to be in, not in the industry where they think they can make money just for the sake of it." 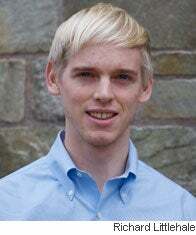 Yale University student Richard Littlehale, the first runner-up in the GSEA competition, also understands the importance of young entrepreneurs starting businesses they're passionate about. "When you start a company, it's really important to understand why you're starting it, what drives your vision and what the point of doing it is," the 23-year-old says. "I think the right way to think about it is like this: If it was a Sunday afternoon, and no one was telling me what to do, what would I be instinctively doing? Figure out your real hobbies, interests and passions. If you get into a situation where your job is your hobby or passion, then you're going to succeed." Littlehale began his green online electronics company, YouRenew.com, in 2008 when he decided he wanted to start a business that could turn a social profit as well as a financial one. Because of their interest in the environment, Littlehale and co-founder Bob Casey set out to create a website that would allow people and organizations to responsibly recycle and remarket old electronics. "We saw this as a tremendous opportunity," Littlehale says. "We decided it would pretty hard to build a wind farm while we were still in college, so this was a little bit less capital intensive and aligned with our vision of what we wanted to do." To remarket, YouRenew buys people's old electronics and resells or wholesales them to a place where they can be reused, and in that process takes a commission for it. When devices need to be recycled, YouRenew helps direct the customer to the metals recycler they work with. With those transactions, Littlehale says even though his company doesn't make money, he feels it's a necessary service to provide to customers. YouRenew promotes the idea of "recommerce," a way for consumers to get the most out of what they buy and cut down on landfill waste. "Our philosophy is, if someone has an old iPod and doesn't want to use it because they have a new one, well, let's put that iPod in the hands of someone who will use it," Littlehale says. "'Recommerce' comes from the idea we believe in that reuse is the highest form of recycling. A lot of people have old Blackberries, iPods or other electronics laying around the house that are still usable, and there are a lot of people in the world who can't afford to buy a brand new device or would happily use that device. Rather than letting it sitting in a drawer, or worse, be thrown away in the trash, we 'recommerce' the old electronic." The GSEA competition provided Littlehale with a forum to meet and network with other entrepreneurs from around the world, and it also helped him build his confidence as an entrepreneur. "I don't think there's anything more important in entrepreneurship than being confident in who you are and the idea you drive behind," Littlehale says. "It's invaluable to be connected to people who are different than you, and have different businesses, ideas and ways of looking at the world."